We hope you are having a fun-tastic summer. It’s been a busy season here at ViewRanger. 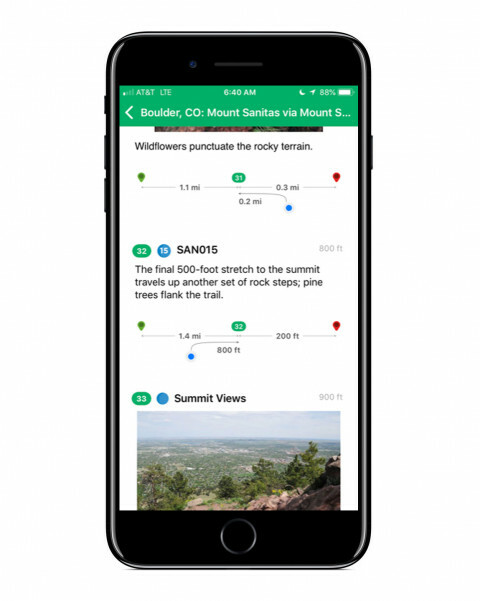 This week we launched an all-new way to follow route guides on iPhone. 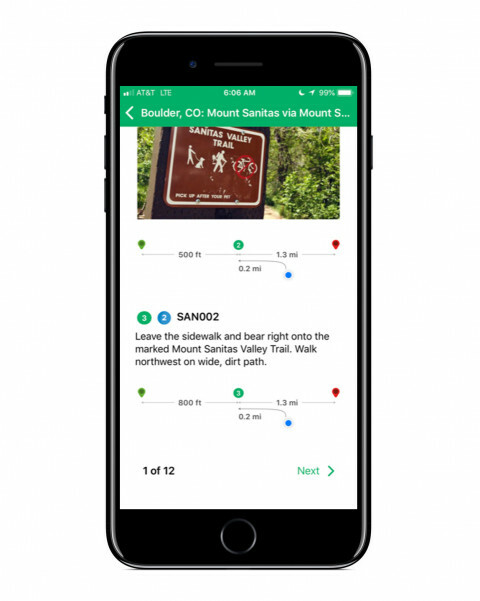 This new design brings forward more detailed route information onto the Map screen and makes it easier and safer to follow routes. We think you will love it. 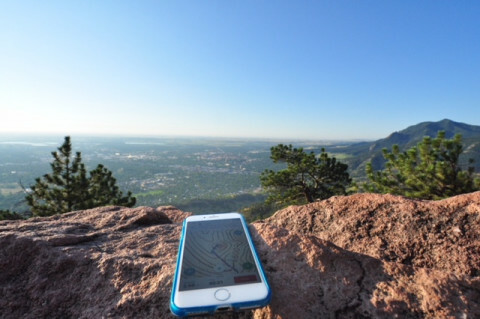 To start, we downloaded the Mount Sanitas route guide and offline maps onto our iPhone. Once downloaded, we headed to the starting point and tapped the Start Route button. 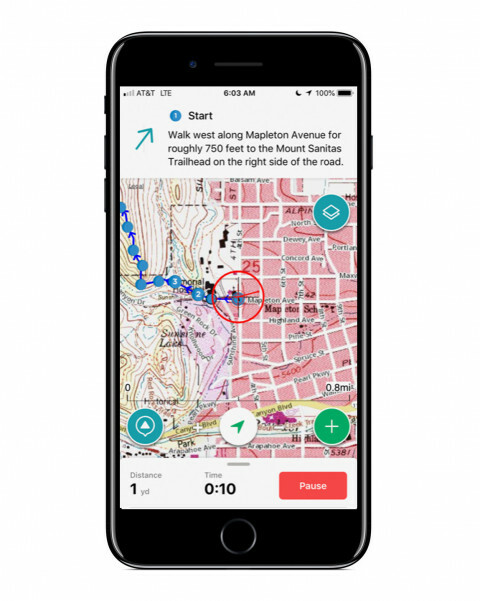 Immediately, the ViewRanger app adds information to the top of the Map screen. It shows a direction arrow pointing to the next waypoint, and any juicy tidbits you need to know. In this case, we needed to walk up the street to the official trailhead. 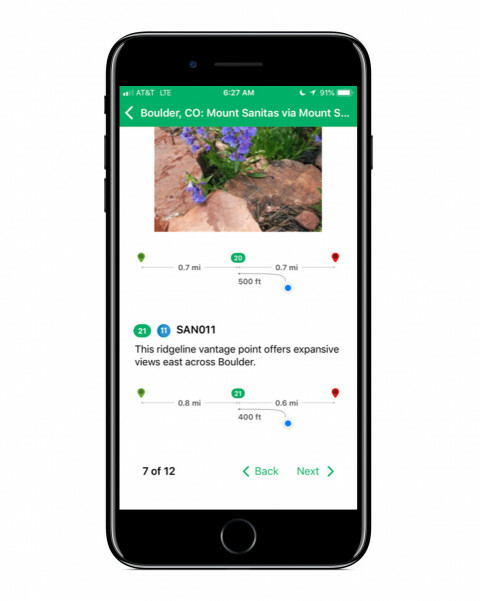 You can also tap the route info box on top of the Map screen to see a full list of helpful waypoints and navigation details. No need to stare at your iPhone screen, friends. 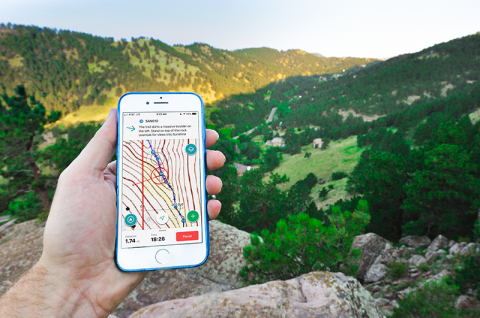 During the hike, the iPhone vibrates to alert you about important trail details like trail junctions, overlooks, or fun facts. This route guide, in particular, showcased some beautiful wildflower and overlook photos too. And, yes!, the views are breathtaking as promised. On the route details screen, the app shows some helpful information. 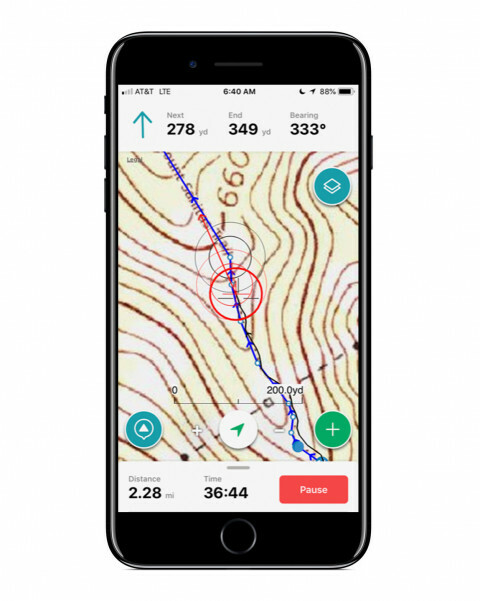 The blue dot represents your GPS location and displays a straight-line distance between you and each waypoint. And, you can see how far each waypoint is from the start and end points. This can be super helpful to understand where you came from, where you are, and what lies ahead. Still more climbing?! Let's do this! If there’s no waypoint copy or media posted by the route author, sometimes you’ll see basic navigation stats. On the screen below, we see distance to next marked waypoint, distance to end point (the summit in this case), and compass bearing. We made it to the top! Wow! What an amazing hike with stunning views. It’s just another 1.4 downhill miles back to the start point. But first let's enjoy the views at the summit for a bit longer. 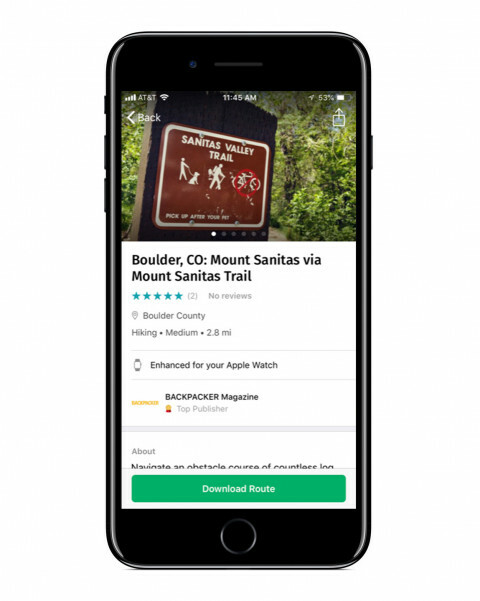 Download the latest ViewRanger app on the Apple App Store. It's a free update. 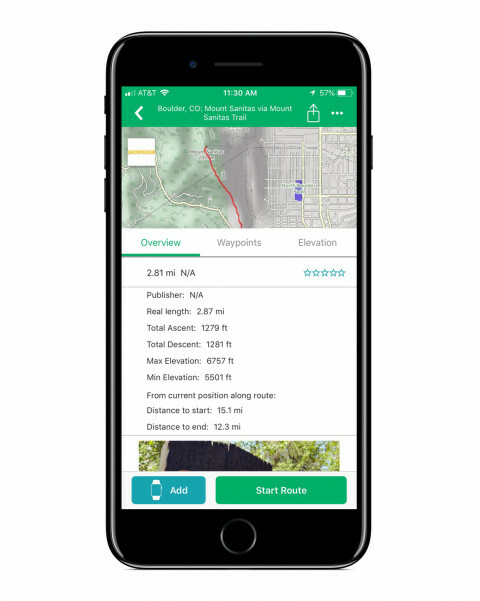 Find a route in the ViewRanger app. Download the route onto your phone. Tip: Don’t forget to download the offline maps. When ready, tap Start Route button. As you follow the route, waypoint directions and descriptions display on top of the Map screen. Tap to see a full list of all waypoint details for the route. 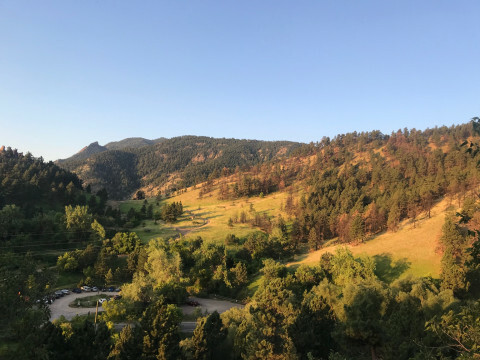 Please note: Route details vary greatly by publisher and can include waypoint descriptions, photos and audio clips to guide you along the way. Let us know what you think. Happy exploring.